"I wanted to reach out to again thank you for the support your kickball league provided for College Possible students. As our program year comes to a close, I am so thankful for the generosity of the community members who partner with us. 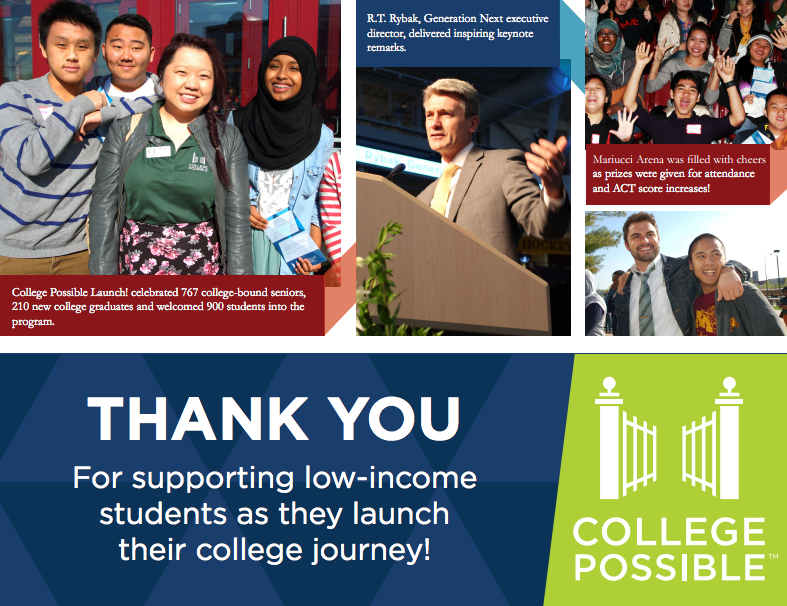 You’ve made it possible for students to have such a successful year and continue on their college journeys. I attached a collage of images from an event we had in May called Launch. It was to celebrate students and their amazing accomplishments. You and your team are a part of that success, so I thought you’d appreciate seeing it."